You know I love plaid. 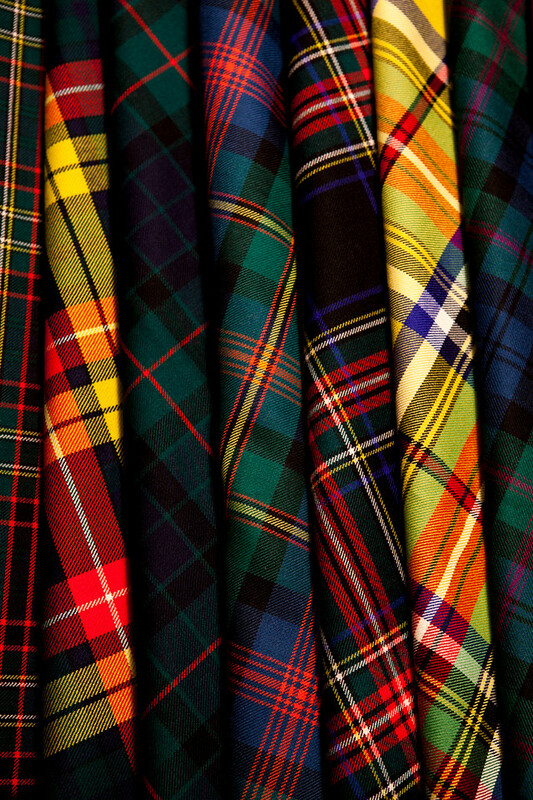 As in all plaids, there isn't a plaid I don't love ... truly not a single one. I mean ... can't you just die with all of that goodness in this photo. Oh and two more to get you going this Wednesday morning. I die with all of that goodness. 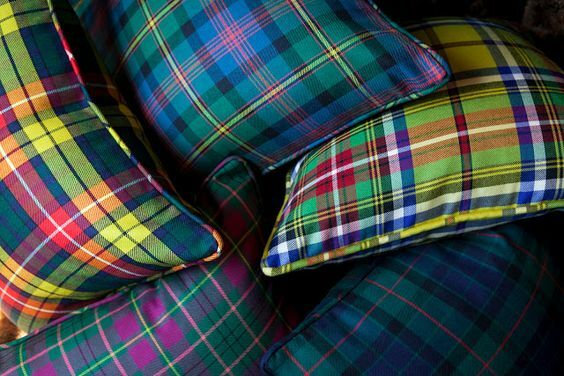 If you are familiar with Scot Meacham Wood you know he is the king of plaid and to say he does it incredibly well would be a large understatement. 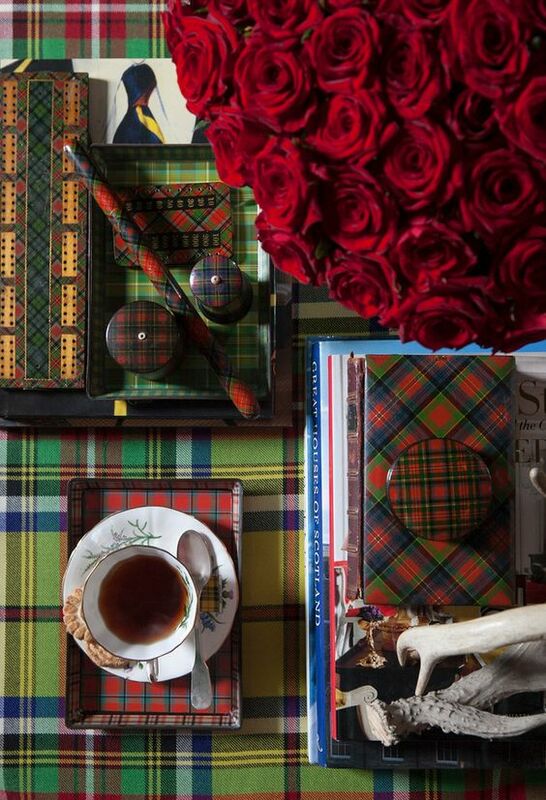 You can't search "plaid" or "tartan" on Pinterest without finding images of the work of this very talented Interior Designer and Stylist from San Francisco. His blog is one of those I check daily for updates. His love of all things plaid speaks to my plaid loving heart. Imagine my excitement when I discovered this image on Pinterest this summer. I mean that fabulous image stopped me in my tracks. I recall my darling assistant scrolling through Pinterest and my head snapping back and immediately thrust into Nancy Drew mode. A little research and I discovered it was a room created by Scot for the 2013 Woodside Showcase House in Napa, California. 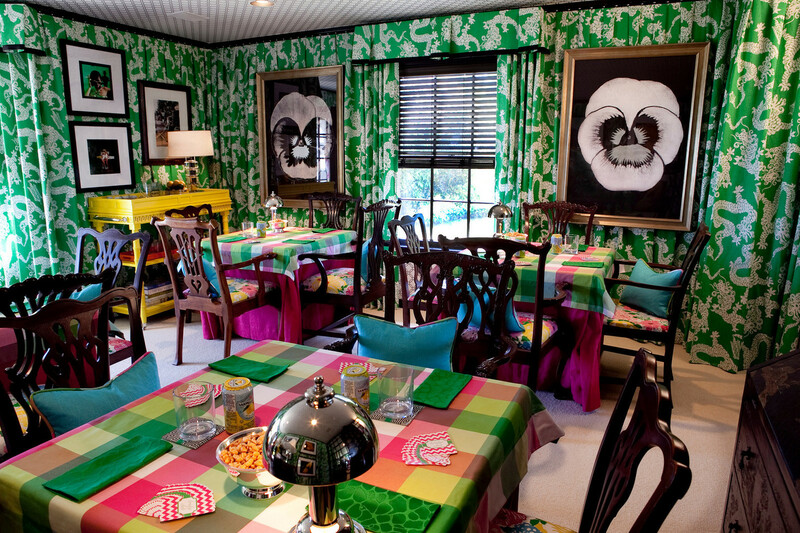 The room was designed with his signature influence of plaid married with the incredible Lilly Pulitzer fabrics from Lee Jofa. To me it is simply put ... perfection. There is not one detail he left to chance and that is by far my favorite part. 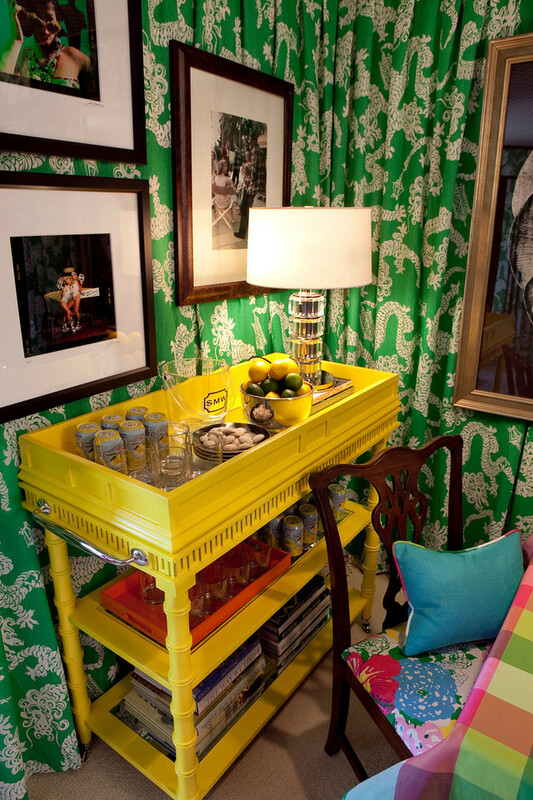 The yellow lacquered bar cart would have been the first thing I grabbed up for myself ... I love it so. There is something about a pop of yellow that always works for me. 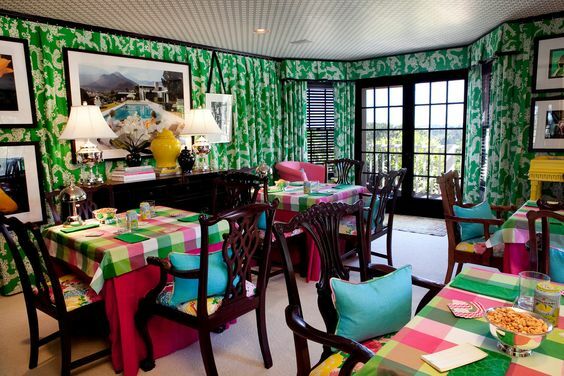 The darling Lilly Pulitzer fabrics are amazing matched with the colorful plaid. Such a happy and lively space. 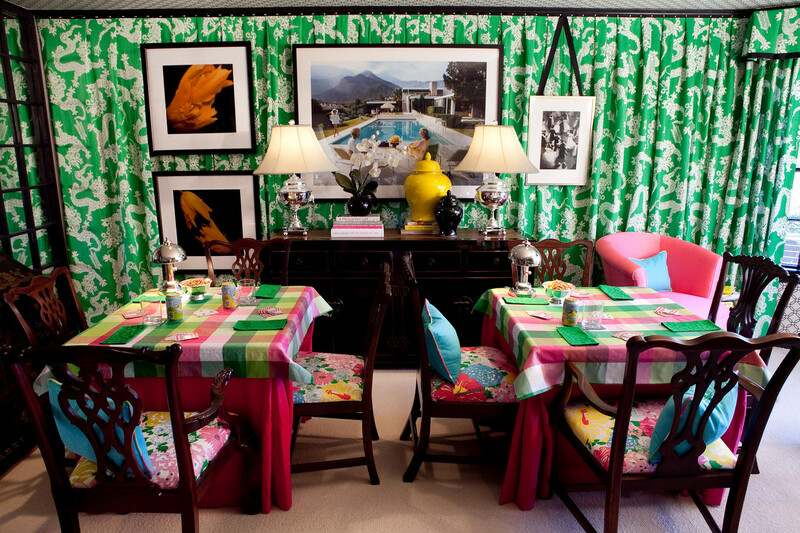 A fanciful room crafted in fuchsia and emerald green, our "Ladies Bridge Tournament Room" for the 2013 Peninsula Volunteers Decorator Showcase is a vibrant space for ladies who lunch. 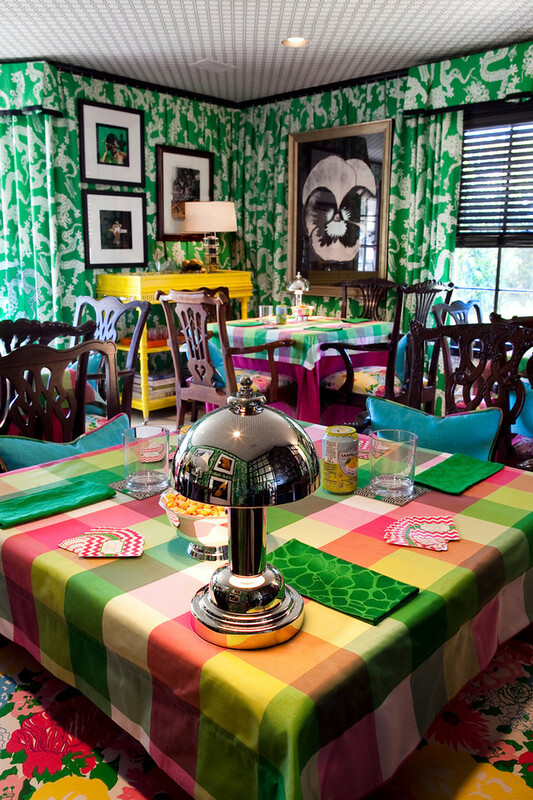 Centered around playful textiles from the Lilly Pulitzer Collection from Lee Jofa, the room features a custom yellow lacquer drinks cart from The Gilded Stag and a mix of antique and modern pieces. 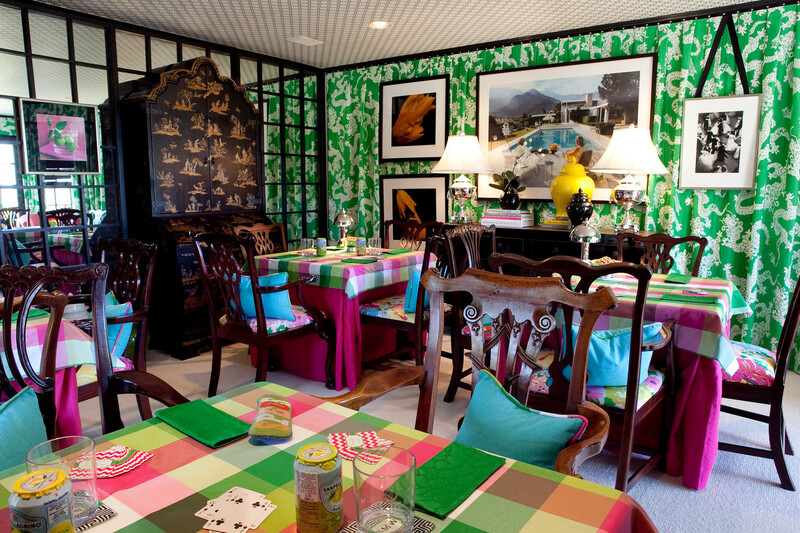 With its healthy dose of color, this space is the perfect spot for an afternoon of light gambling and heavy gossiping. Sign me up for bridge immediately ... I am all in. Happy Wednesday lovies ... the weekend is peeking its head around the corner!! 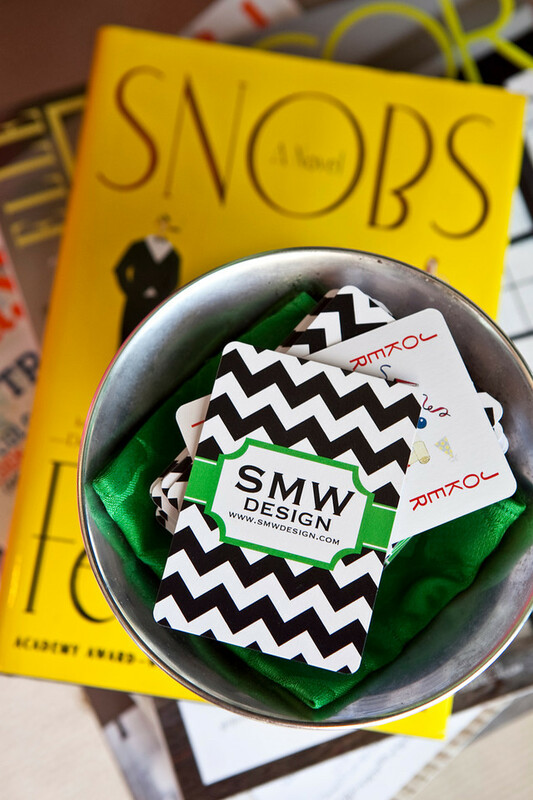 I just discovered your blog and I just love it! I too live in Marietta and love being a Southern girl! Thank you for sharing your daily dose of happiness!